Home » All Forums » [Lunch & Dinner Forums] » Sandwiches » Is it a sandwich? Sure it is. 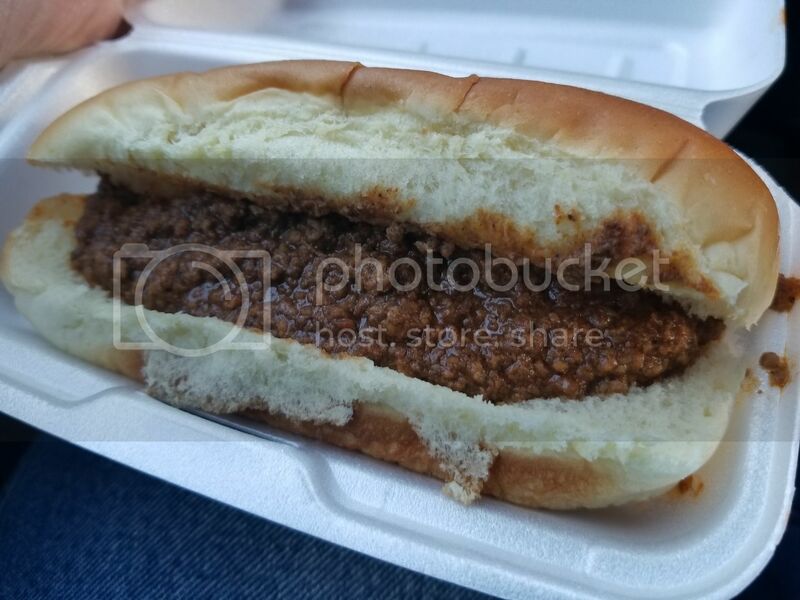 Several recent posts and reviews about Eastern Kentucky Chili Buns caught my interest since we were headed to Lexington to an annual custom knife show. 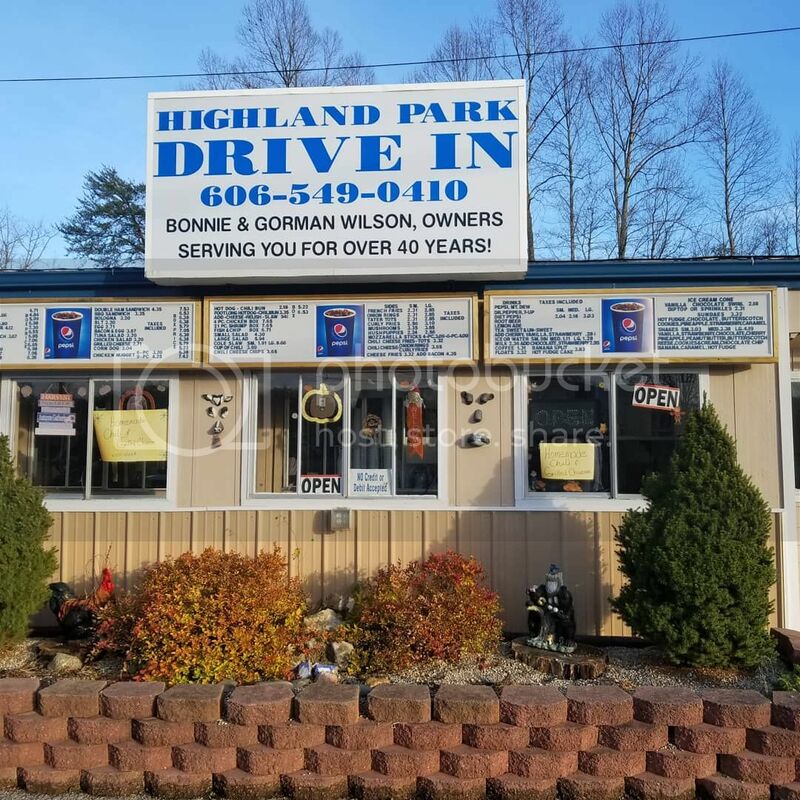 We decided to try Highland Park Drive In in Williamsburg after scrumptiouschef mentioned it. I went with a plain and one with slaw and onions plus an order of onion rings. I was impressed with both but my wife and I both preferred the slaw version. The onion rings were very good. Yes, it is a sandwich. 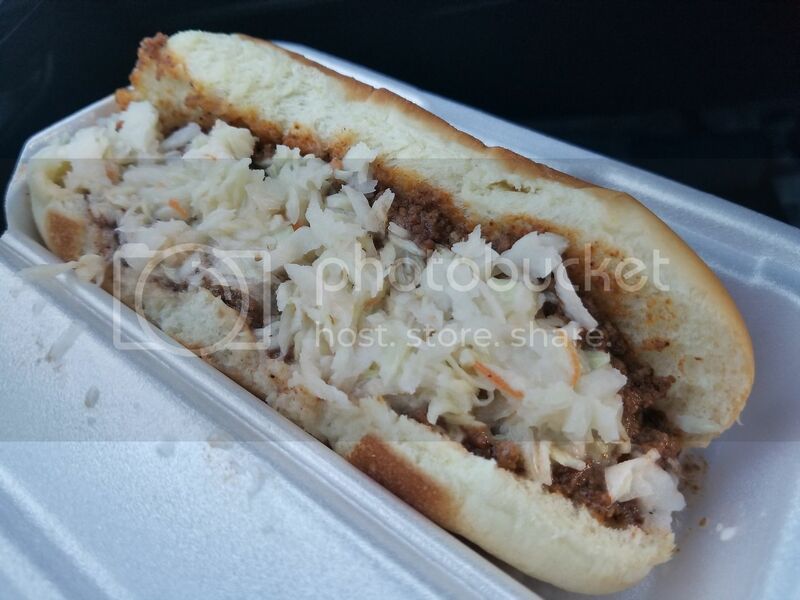 Well, a chili bun may be a sandwich, but a hot dog? Never! Yes, it is sandwich and its look yummy. NEVER saw any menu where a Hot dog was listed as a sandwich. Never thought about it...Technically, maybe, it but it's never called a sandwich.......no place I've ever been! Those are some great looking onion rings. Thanks for the report. Another vote for the onion rings here. Very nice color. 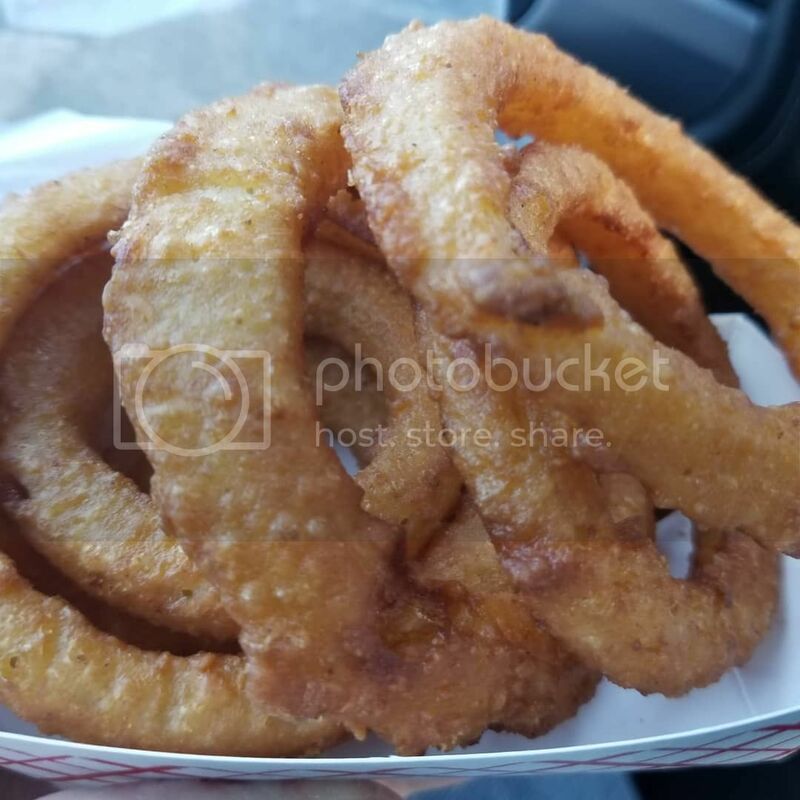 About the Onion rings: Agreed!